When Nan and I first moved to Aspen almost twenty years ago, her first job was working at a hotel at the base of Buttermilk Mountain. After finishing work at my computer job in town, I would wait at the hotel's bar for Nan to get off work. Most of the bar crowd at that time of day was the après-ski crowd, winding down from a day on the slopes. One afternoon, as I was nursing a beer, a young lady on the other side of the U-shaped bar yelled across to me, "Hey, this guy says ski instructors are the best skiers. Is that true?" I immediately determined that the guy in question was wearing a ski instructor's uniform and that he was using the line in an attempt to pick up the young lady. 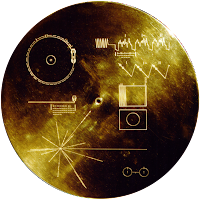 Without thinking, I shot back, "Yeah, they're the strongest intermediates out there!" As a long-time skier, my attitude has always been that ski instructors make pretty turns on groomed runs but can't ski the tough stuff. All that changed for me this ski season when I became a ski instructor myself. The business I had moved to Grand Junction to open last January never really took off, so by October I was looking for something else to do. I was also thinking ahead to the ski season and wondering if nearby Powderhorn Resort would fill the bill for me after twenty years of skiing in Aspen. 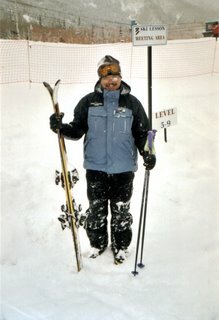 I checked powderhorn.com for a trail map and ski pass rates, and noticed that the ski school was hiring. I thought, why not give it a try? It couldn't possibly be as competitive as Aspen, so I was pretty sure they would take me. And Nan said it was fine with her, so I applied. I had no idea how the training would be structured. I thought I could just go in and say something like, "I've been skiing for thirty-seven years and I'd like to teach skiers who are looking for a breakthrough in skiing moguls, steeps or powder." I quickly found out that this is not how it works. Everyone starts at the bottom, teaching "never evers," people who have never ever skied before. If I stuck it out, I might be teaching breakthroughs in about three years! We new applicants spent an evening session finding out what it's all about and then an all-day session learning about the movements involved in skiing, people's learning styles, and the progression that turns them into safe, competent skiers. All this took place before we ever hit the snow. On Saturday, December 10, when Powderhorn opened for the season, all the prospective ski and snowboard instructors were out there trying to impress the trainers with their ability. Most survived to ski or ride again on Sunday. Everyone who survived to the end of that second day on snow was accepted into the school--only about fifteen of us. Actual teaching began the very next day. As someone who had agreed to teach full-time, I was scheduled to teach the next seven days in a row. Needless to say, this rookie instructor quickly gained experience in getting people, mostly kids, to progress from having trouble keeping their balance to riding a chairlift and skiing safely and in control down an easy ski slope, sometimes in as little as two hours. When it went poorly, it was frustrating, but when it went well, it was deeply rewarding. For example, I was waiting with a class of ten-year-olds in the lift line one day when I spontaneously yelled out, "Are you guys having fun?" They responded in unison with an enthusiastic "Yeah!!" It made me smile for the rest of the day. While all this teaching was happening, I was noticing that some of the veteran instructors were extremely good skiers, much better than I would have expected given my past close-minded perspective. They were not only great skiers, they were also great instructors and they taught seminars to other instructors most mornings. A frequent topic was what I would call "new school" skiing, a concept I had been resistant to since the introduction of shaped skis almost ten years ago. My five-year-old, "lightly shaped" 191-centimeter skis were not going to cut it, so I bought some new 169-centimeter "R16s." What a difference! Instead of letting my edges skid slightly through short-radius turns, I could now stand on my edges and feel them carve all the way through a turn. Instead of my inside ski just being along for the ride, it was now an active component of the turn, tracking its own edge. With fine-tuning during the early-morning seminars, I felt my skiing move to a whole new level, way beyond where it had been stuck for the last ten or so years. And boy was it fun! 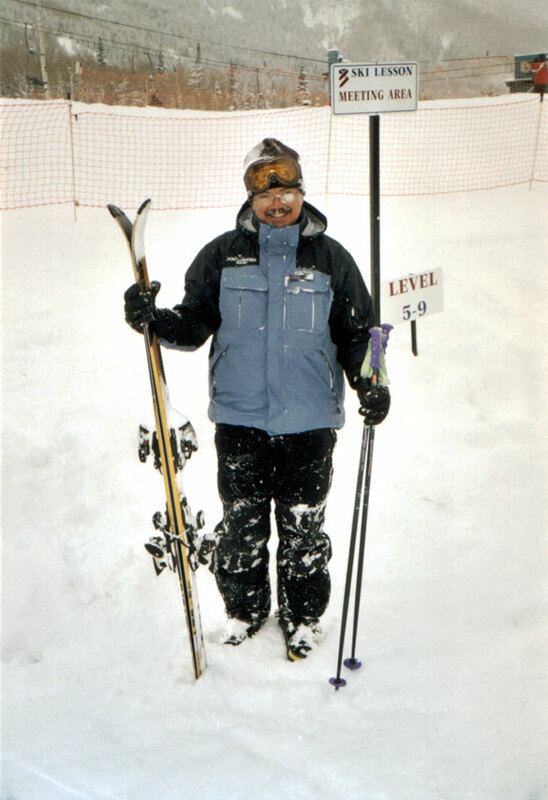 By the time the ski season ended on March 26, I had skied close to seventy days and taught at least as many lessons. I had also taken and passed my PSIA (Professional Ski Instructors of America) Level 1 certification exam, which entitled me to proudly wear the badge of a professional ski instructor on my uniform jacket. Was it worth it? Yes! Will I be back again next year? You bet! Did I learn anything? More than I ever would have believed.